How to Make CRM Implementation Truly Profitable? Much has been written about the fact that customer relationship management (CRM) is a part of any successful business. In addition, a lot has been said about the fact that a CRM system is a necessary tool for effective customer relationship management. It’s all true, as well as the statistics showing that 60% of CRM system implementation projects never get the return on investment. A CRM system is a complementary tool, which lifecycle is 5+ years. Apparently, the factors influencing ROI from a CRM technology will be engaged in different stages. I’d like to warn the reader from the very beginning that in this article we are not going to talk about an “ideological” side, since this is an obviously required precondition for a successful CRM system implementation, and, actually “ideological” maturity largely defines the criteria for choosing a CRM technology. The “choosing” stage is described in detail in my article “6 Steps to Implement an Efficient CRM System». In this article, we will look into the factors that ensure the project’s success at the “Implementation” stage and largely define the perspectives of getting ROI at the “Maintenance” stage. Attention of company’s top management to the project. Ability to create closed-loop control. Let’s look into every factor in more detail. Despite the seeming simplicity of the matter, many people underestimate the influence the factor has on the project’s ROI. You understand the importance of choosing the correct working model only after you have analyzed the reasons of multiple successful and less successful projects. By their definition, CRM technologies are the technologies aimed at supporting the process of managing people relationship, so they should be implemented the same way the relations with people are built – gradually, smoothly and constantly. Here lies the key difference between implementing CRM technologies and majority of other technologies in the area of business processes automation. “Agile” (an iterative approach to the project implementation) will be more efficient as it presupposes that a project team (representatives of a supplier and a customer) actively communicate with each other, discuss the methods of executing the project tasks, make the prototypes of future solutions in order to choose the most efficient ones and exclude those that are inappropriate due to some reasons. Involve the company’s key personnel into the project and minimize at an early stage the risks of employees’ opposing the CRM system usage. Minimize at an early stage the influence of the uncertainty which existed at the stage of CRM concept development, especially in terms of technical and organizational matters. the process is managed by an experienced project manager. Another issue that is often underestimated is – who will manage the project, namely coordinate the works of all parties involved, monitor the project risks, timely and clearly report to the project’s sponsor on its state, suggest the options of solving problematic issues and smooth out the inevitable bumps in the relations among the project team participants. Direct the efforts on executing more understandable and known tasks and not those that are necessary from the point of view of achieving strategic project goals. That is, to improve the things that are already working pretty well. Start standardizing and automating the processes, which, due to some objective factors, are dynamically changing, so that time and efforts expenses will never return due to such high dynamics. Refuse from performing the tasks, which are critical but not obvious, from the position of specialists who lack project implementation experience. For example, initial population of a system with data or designing training programs, which we’ll describe below. If the preparatory works have been carried out correctly at the decision-making stage (see the article «6 Steps to Implement an Efficient CRM System»), by now we know exactly what competence we need and have the idea of who can provide them. Due to objective factors, a project team is a “live” group that undergoes both planned and urgent changes. However, regardless of all those “replacements”, the team must stay balanced according to the competence in order to meet the deadline for the tasks. There are always several options to get the required expertise, each of which has its own strengths and weaknesses that have to be taken into account. None of CRM system implementation projects can be a success without an active participation of a Customer’s leading specialists. An undeniable advantage of in-house experts is a good understanding of business peculiarities. Unfortunately, in-house specialists often don’t possess enough knowledge on the possible solution methods. Nevertheless, the biggest problem of involving in-house specialists into the projects is their engagement in the operational work, which negatively affects the project deadlines and full-fledged knowledge documentation on the project. That is why, make sure that your specialists have the resource that will help systemize and document knowledge, as well as to make up for the lack of technology knowledge and possible methods of urgent tasks solution. As for in-house IT specialists, they, as a rule, are good at nuances and the possibilities of active systems, but they don’t always possess deep knowledge of capabilities of the systems being implemented. This factor can be easily made up for after some training. However, making a decision to train the in-house specialists one should also consider the risks of retaining them as the staff. Otherwise, you can be left without the carriers of “secret” knowledge at the CRM system usage stage, and combined with the traditional problem of designing the technical documentation for internal projects it can threaten the efficient CRM system work during the required timeframe. For any type of works, you can find freelance specialists on the market who can compensate for the lack of particular competence. Usually, such specialists will cost you less than the experts of integrating companies, which is an advantage. Although, quite frequently such specialists suffer from a disease that can be called “absence of documents certifying work results”. If you don’t care about organizing a high-quality documenting process, you’ll complicate the future system’s maintenance and customization considerably, which threatens ROI on the CRM system implementation. The main difficulty is that even eminent integrators with a big number of projects don’t always offer qualified specialists for the project. Nevertheless, the main advantage of engaging an integrator is legal liability for the working results and the possibility to conclude a maintenance and system development contract for a long-term perspective. Yeah, it may sound like sacrilege that the budget takes only the third place, since no one needs low-quality works even for free and the impossibility of modifying the system after implementation will definitely affect ROI badly and will lead to waste of the budget at the implementation stage. Unfortunately, people most frequently forget about the first item and, as a result, there is a threat of useless investment at the stage of the CRM system running. Contact an experienced CRM integrator! First of all, any changes to usual working methods inevitably cause protective response from those people whom these changes concern. It’s naïve to believe that the project manager will be able to handle the conflict situation quickly without the help of the key management and influence the company line managers that do not report to the project manager. Secondly, almost in all middle-sized and large projects there are the situations when the changes should be introduced to significant project parameters: the volume of the works being performed or confirmation of a new deadline. Naturally, such important changes should be agreed with those who bear personal responsibility for ROI. And thirdly, the company top managers’ interest and involvement in the project management demonstrates the project’s importance to all employees in the best way, which has a positive effect on the motivation of the project team and their wish to make the project a success. Undoubtedly, CRM system’s integration with the related systems is a vital factor of an efficient operation. Nevertheless, it’s important to take into account the fact that deep integration of several informational systems is rather a complicated task in terms of engineering and significantly affects the budget and the CRM project implementation timeframe, which, in turn, impacts ROI. Stability of the related systems. If the related systems that the CRM system has to be integrated with are unstable and undergo constant changes, it’s better to minimize the volume of integration works or refuse from integration at all, since the risk of arising errors in the integration block is rather high. As a result, you risk having an unpredictable budget at the exploitation stage and excessive complexity of processes that ensure data correctness. Multiple data inputs. This factor significantly affects the convenience of the staff work and, consequently, employees resistance to the CRM system use. In order not to escalate the risk, at the initial project stages, it is necessary to carry out the analysis of business processes and to define if there are the employees who, due to the type of their work, will have to input the same data into several systems. If the data is filled in by different employees, they are likely to feel no deterioration in work, so then one should match the integration cost with the risks of inputting incorrect data by different users and the possibility to decrease operational costs by reducing the number of employees. Irrelevant data risks. If you risk incurring significant financial losses due to incorrect data input, the matter of convenience/inconvenience becomes secondary. In this case, it’s necessary to estimate the integration cost with possible losses related to the issues of irrelevant data for the whole system exploitation period. As any other informational system, the CRM system is efficient only when it contains data that users need for executing their work. Try using the search function, data transformation or report building in the system, that contains no data yet. Naturally, the system will work correctly but you’ll get no benefit and you’ll have to find and input the data first, which will take some time. Only after that, you’ll have some return. It’s like receiving a flat after redecoration with the garbage from reconstructions works left : the room is repaired but you can’t enjoy it without putting significant efforts and doing a great volume of dirty work. 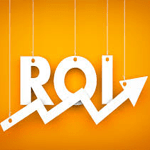 Naturally, the longer the system is populated with data, the later you’ll get ROI. That is why it’s important to care about the system’s population with required and full set of data from the very beginning. Easier said than done. Data transferring needs much effort and painstaking work of data verification and merging from different sources. The “deeper the data history” is, the more complex the data structure is and the bigger the number of sources to be handled is, the more difficult and time consuming it is to do the job. In the CRM project budgets this article can take from 5% to 15% of the CRM system license cost and of the works aimed at their adaptation to the business needs. And this is a significant article. So it’s important to look for the balance between completeness of data transferring and the article’s pressure on the project’s budget. Obviously, if a tool isn’t used or is badly used, there will be no return from its purchase at all, or it’ll be inadequate. Here we can draw an analogy with the use of modern industrial equipment. The “smarter” the equipment is, the more knowledge is required from the worker who uses it and if the trained employee leaves, his place should be taken by the same well-trained employee. Modern CRM systems can be rather complicated information systems that require qualified specialists to work with them. Moreover, the qualification should be not at the level of the program use (nowadays you can hardly find an office employee who can’t work at a computer), but at the level of understanding how to use correctly the information system’s possibilities in daily work. For a company, one of the most significant and valuable results of a CRM system implementation is formalization and systematization of a large volume of knowledge on efficient work with customers. The special value of knowledge is that it is adapted to the conditions of a particular company (management style and internal culture). The problem is that this knowledge is quickly lost with the pace of time. If there are 20+ people in you company who have to use the CRM system, there is a high probability that within a year 3-4 peoplewho were trained how to use the system at the implementation stage will leave the company. New people will come and most likely, having no required knowledge, will need to be trained. The training based on the principle “do as I do” leads to exponential loss of knowledge, as the “instructor” of every generation loses part of important knowledge. It immediately affects the efficiency of the CRM system running overall, and, consequently, ROI. In order not to get into such a trap, do not grudge the means for knowledge documenting and training programs development neither at the implementation level nor at upgrading stage . The bigger your company is, the more attention should be paid to the issue. If you have more than 50 users, care about creating interactive training programs, since every year people get used to receiving knowledge in the form of videos and audio books. Define a necessary and sufficient set of data, which is required to be input and stored in the CRM system. Besides the fact, you ensure accumulating necessary data, you’ll minimize the risks of the staff’s resentment caused by the need to input useless data. Close the management cycle which is often called Deming cycle. Deming cycle, which has become the classics of the modern management, consists of four phases: Plan – Do – Study – Act. Since the term CRM itself contains the word “management”, it’s necessary to take care of the management cycle completeness, namely of creating the means of analyzing all aspects of the CRM system usage. Reports building is another aspect that will affect ROI. One of the common mistakes that people make when designing reports is the attempt to describe everything in the form of statistical data. Although this method is much easier for the users, it deprives the reporting of flexibility and the ability to change dynamically. If you want to succeed in analysis flexibility and convenience, there is no need to design dozens and hundreds of reports, it’s just enough to care of fast and convenient upload of key data to Excel and after that it is only the matter of ability to use standard tools and the skill to interpret the received analysis results. That is why, in terms of receiving the return on investment into the CRM system, the most efficient way is to train the users data processing skills with the help of standard and available means of analysis, such as Microsoft Excel. Of course, the article describes general recommendations, which are equally suitable for all companies regardless the business specifics and the applied management style. But it’s important to take into account the fact that each company at a specific moment of time is a unique business organism which requires the development of an individual “road map” for implementing such a complex tool as a CRM system. Some tasks will have a higher priority and they will have to be solved immediately, while others could be carried out later, but they are necessary as well, if you want to implement a successful project and gain the maximum ROI.